Kyle Van Noy is a top-notch football linebacker who is currently associated with the New England Patriots of the NFL. After he was picked by the Detroit Lions during the 2014 draft, the skillful linebacker completed two seasons with the Lions before being traded to the New England Patriots. Interestingly, Von led the Patriots team to win the Super Bowl LI championship in 2017. He completed his college career at BYU where he was named to the All-American third team twice. 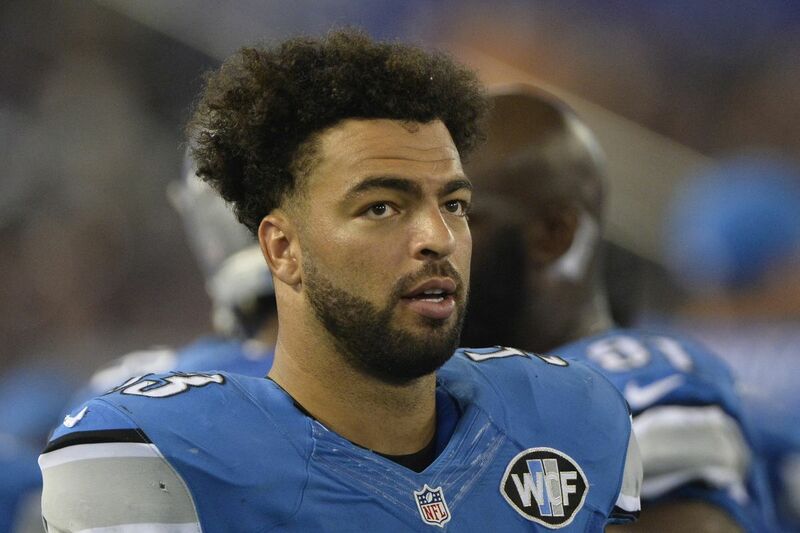 Learn more about Kyle Van Noy below. Kyle Van Noy was born on the 26th day of March 1991 in Reno, Nevada. He developed a keen interest in playing football when he was just eight years old. He enrolled at McQueen High School where his football career kicked off in earnest. During his time in high school, Kyle led the school team to win the 4A State Championship in 2008 while maintaining a 14 – 0 record. Despite his good record in football, Kyle featured in other sports including baseball and basketball during high school. For his college career, Kyle went to Brigham Young University where he played collegiate football for the school team which he joined in 2009. He missed play time in his first season due to honor code violation. Coming back the following year, he got letterman honors while making 38 tackles for the team. As a sophomore, Kyle had 68 tackles, three interceptions, and 7 sacks and was named to the Phil Steele All-Independent First Team as well as Yahoo Sports and FBS All-Independent teams. As a junior, Kyle led the conference in defense after making 53 tackles, 13 sacks, two interceptions, and 6 fumbles. The following year, he finished his college career with a flourish total of 70 tackles in thirteen gameplay and was named to the All-Independent First team while being named the All-Independent Defensive Player of the Year. He was equally named to the All-American Third team in the same year. Turning pro in 2014, Kyle declared for the NFL draft where he was chosen by the Detroit Lions as the 40th selected. Joining the team, Noy penned his rookie contract worth $5.10 million for four years. He played a total of eight games for the Lions in his rookie year. His rookie season was cut short by an abdominal injury which he sustained. He made a comeback the following season with 23 tackles in seven gameplay. Subsequently, Kyle Van Noy was traded to the New England Patriots in exchange for a 2017 sixth-round draft pick. He recorded 27 tackles with the Patriots during the 2016/17 season. The following year, he helped the Patriots to win the Super Bowl LI while recording 73 combined tackles in the season. While Kyle’s Team Mate Tom Brady has been one of the top earners in the league; Kyle Van Noy who is on his way to superstardom is also receiving a decent amount for his efforts. He penned down a two-year contract extension with the Patriots worth $11.7 million in 2017. In addition, he equally got a signing bonus of $3.5 million with $5.5 million guaranteed. Kyle’s new deal will increase his net worth significantly. Meanwhile, his current net worth is around $19 million dollars. He earns his net worth from his football career as well as other endorsements. Although you might be seeing just his successes at the moment, Kyle Van Noy had an interesting childhood. After his birth, Kyle’s biological mother gave him up for adoption through the Latter Day Saints Family Services. She wasn’t a member of the Latter Day Saints but wanted her baby to be raised as one. He was eventually adopted by Kelly and Layne Van Noy who took him to California where he was raised. Seeing his athletic potentials, his parents started encouraging him to seek a career in American football. Without a doubt, Kyle has excelled beyond measure and today, he is one of the big guys in the NFL. To crown his burgeoning career, the star athlete has an amazing wife who gives him all the support he needs. He is happily married to former Miss Utah USA winner named Marissa Powell. The Utah native is a gorgeous actress and model, popularly known as the former Miss Utah USA. She completed her higher education at Westminster College where she played volleyball for the school team. Marissa has appeared on the ABC series What Would you Do? and has also appeared on the cover of several fitness magazines. The perfect couple met each other around 2011 and after three years of a successful relationship, they tied the knot. The duo belongs to the Church of Jesus Christ of Latter Day Saints and their wedding was held in their church located at Salt Lake City, Utah in 2014. Since their wedding, they have been experiencing a blissful married life they don’t have kids yet. The American football linebacker is a very tall and handsome dude. He stands at a height of 6 feet 3 inches (1.91 m) and weighs 250 pounds (113 kg). He has been doing a lot of work at the gym which has helped him develop his great physique. His shoe size, body measurements, and dress size are currently unknown. Kyle’s hair is black while his eyes are brown.